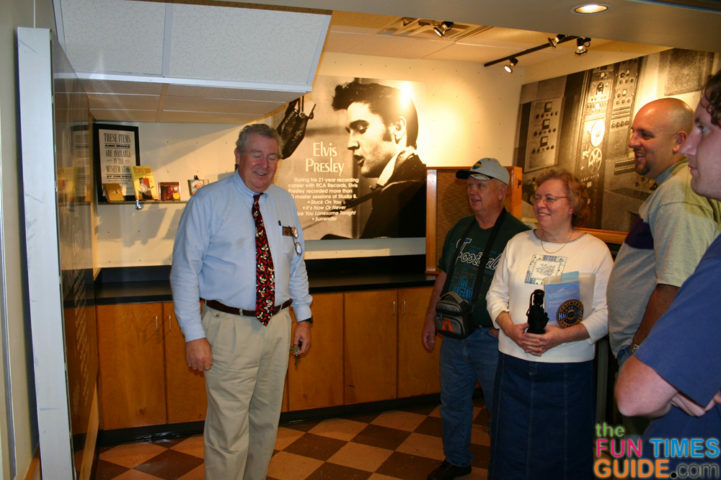 We went to the Country Music Hall of Fame in Nashville with Jim’s parents. I must admit, while I didn’t have the patience to listen to all of the audio tour and read all of the highlights listed at each display, I thoroughly enjoyed the more “interactive” things. #1 Watching the 2 separate movies that lasted about 25 minutes each. One was comedy-based, showing old TV commercials that featured Country music artists, as well as old TV clips from things like Hee Haw and Andy Griffith. 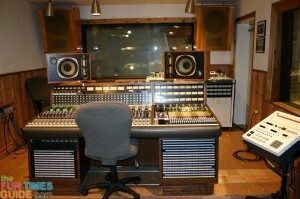 The other was Tim McGraw based — he took us behind the scenes of how a concert comes to be… from hitting the road, to family life on the road, to play time, building the stage, eating, and more. #2 Seeing the actual clothing worn by certain stars. 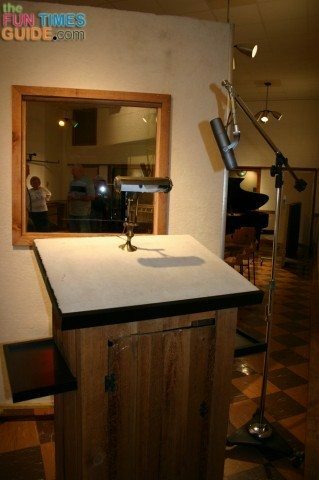 It was neat to see different singers’ favorite things that have been preserved. #3 Visiting RCA Studio B on Music Row. This was the highlight of the day for me! 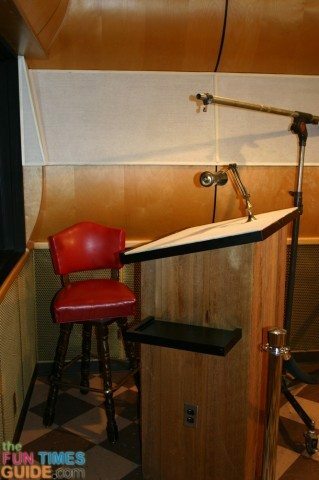 They drove us in a separate tour bus from the Country Music Hall of Fame to Music Row in Nashville where we got the rare opportunity to go inside the historic RCA Studio B. It’s the one-time recording home of Elvis Presley, Chet Atkins, Eddy Arnold, Roy Orbison, the Everly Brothers and many more. 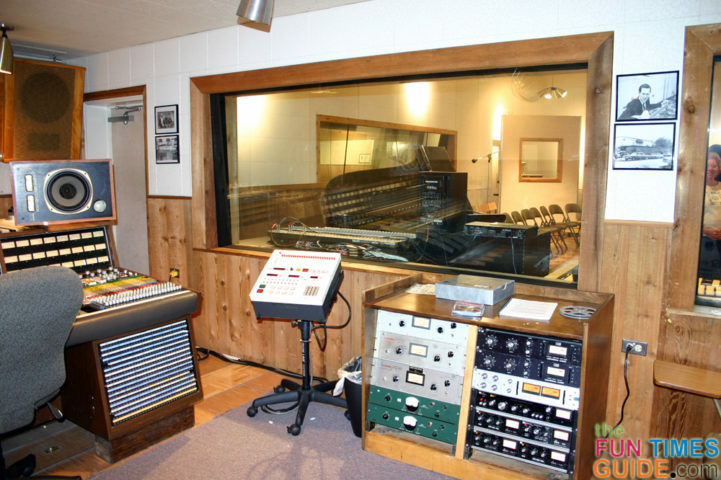 Inside the studio, we could take all the photographs we wanted. NOW we’re talkin’ fun! 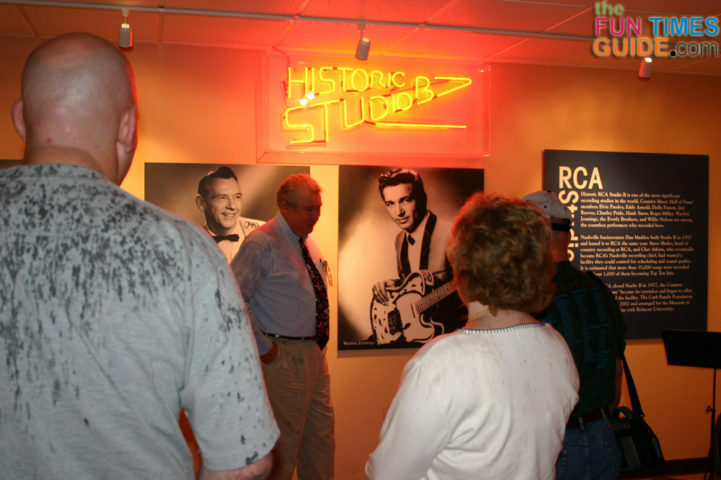 By the way, a tour of the RCA Studio B facility can only be obtained by purchasing the Platinum Ticket Package with admission to the Country Music Hall of Fame. Studio B is ranked #3 out of 93 Nashville attractions by those who’ve seen it. 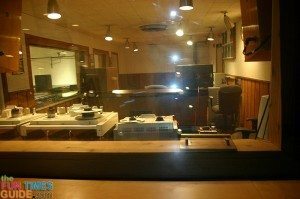 Following are some of the photos I took inside the RCA Studio B in Nashville. It was such an amazing feeling to be standing in the exact same place that hundreds of music legends have been! 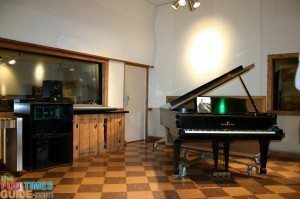 Now you can see why the RCA Studio B tour was such a highlight for me. I’m so glad we did it! 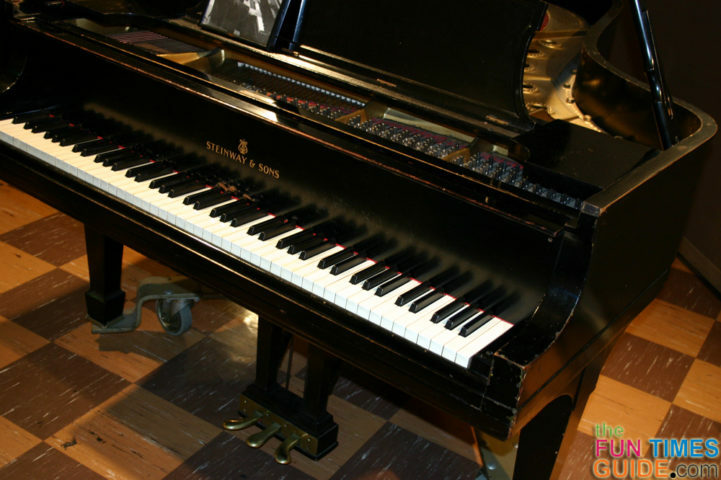 Check out my first impressions of the Country Music Hall of Fame itself. In my humble opinion, the Country Music Hall of Fame in Nashville pales in comparison to the Rock & Roll Hall of Fame in Cleveland, Ohio. 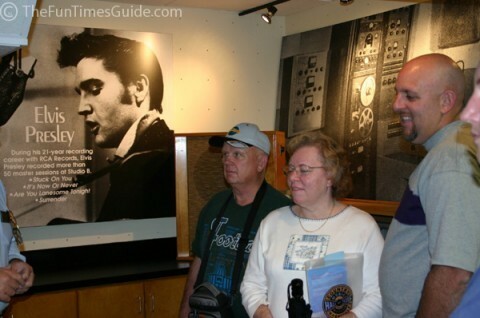 A couple years ago, Jim and I spent several hours touring the Rock Hall of Fame, and I thoroughly enjoyed it. It’s much more diverse, and quadruple the size of the Country Music Hall of Fame. There’s definitely something for everyone at both of them though.